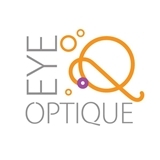 Eye Q Optique (Buffalo Grove) - Book Appointment Online! Our doctors of optometry have a diverse background in the optical field and bring their many years of experience to our Buffalo Grove office. The practice is here to provide complete eye care services for every member of the family. Optometrists are supplied with modern equipment to help diagnose patients with eye disorders including glaucoma, cataracts, macular degeneration, diabetic eye disease, dry eye syndrome, eye infections and other ocular emergencies. Besides specialized eye care, our doctors perform routine eye examinations as well as prescribe glasses and contacts. Please note that eye exams are available in English, Spanish and Russian. Dr. Kats is very friendly and quick! The girls at the front are very sweet and welcoming. Really nice office too, super clean and spacious!